I’ve always found bird nests fascinating. How do birds with just their beaks and feet manage to collect tiny twigs and other natural items and weave them into a stable structure? They are truly works of art. And, so many bird’s nests are made following a specific design. Some are wedged into a fork of a tree, some are in the hollow of a tree, some are on the ground and even others hang from branches like a bag. I doubt I will have drawings of bird nests to match every bird and type of nest. However, there’s quite a bit of variety among these bird nest drawings. Everything from simple little black and white nests to full-color images that could add to your home’s decor. And, like all of the images on Reusable Art, all of these drawings of bird nests should be in the public domain if your country follows the Berne Copyright Standard or is looser than Berne. 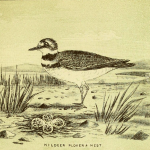 Vintage killdeer plover nest drawing with a lovely bird and her nest. A distinctive-looking bird with a highly recognizable call. 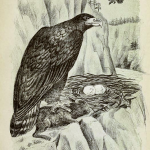 Vintage Golden Eagle bird nest drawing from artist and author Walter Raines. A pair of birds, a pair of eggs and their cliff-side nest. Bird nest serenade; a vintage, black and white drawing of a bird serenading its mate. 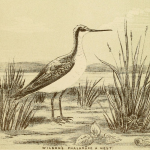 A public domain bird image could become a true piece of Reusable Art. 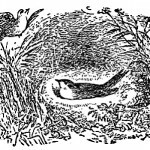 Vintage black and white drawing of birds with a nest from an 1882 children’s book. 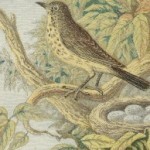 It has a bird sitting on the nest and a second bird on a nearby branch. 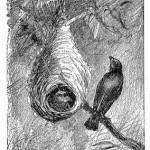 Sketch-like drawing of an oriole nest. 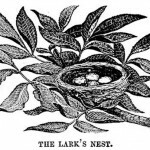 Drawing of a lark’s nest with four eggs. 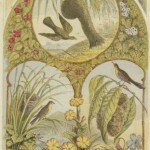 Vintage bookplate featuring three unique bird nest drawings. 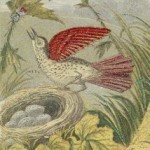 Small, vintage book illustration of a colorful bird protecting her nest. 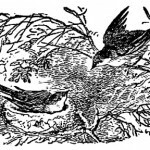 A bird stands proudly over its nest full of eggs in this vintage bird nest drawing. 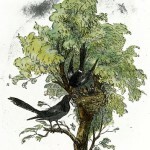 A pair of magpies feed their chicks in this vintage bird image. 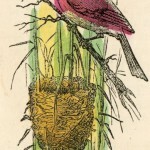 Vintage, hand-colorized bird and nest drawing.